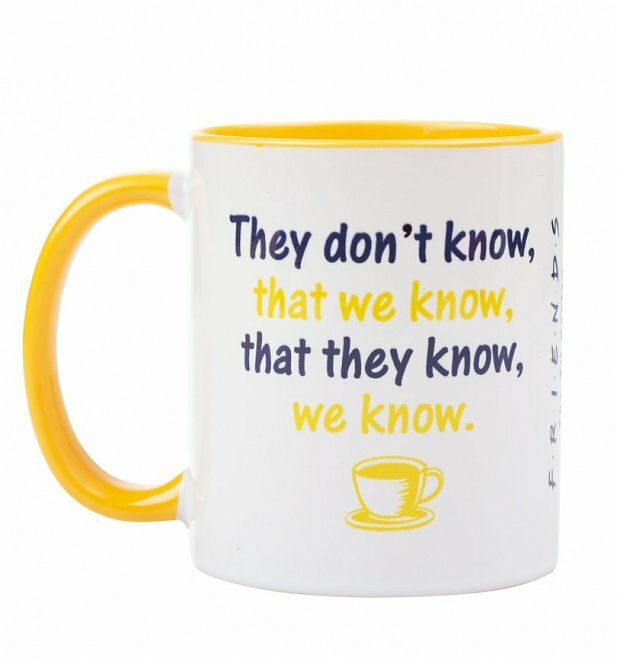 They don't know, that we know they know we know! 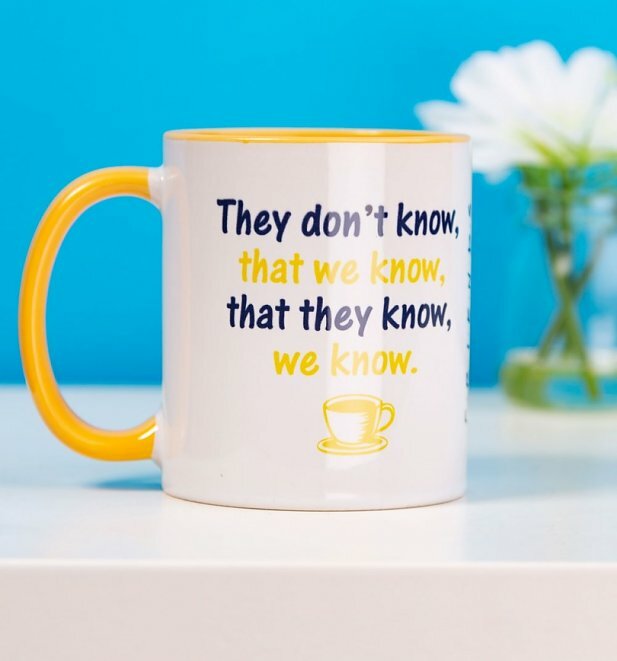 Wow, we're gonna need a coffee break to untangle this conundrum. 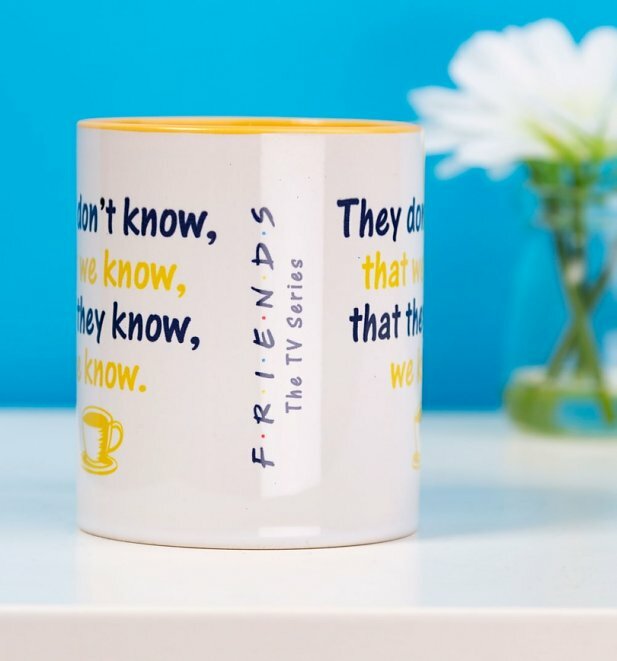 Luckily for Friends fans there's this bright mug, ideal for a cup of joe whilst watching the best 90s series ever.